Project 2012 is the result of a four year consultation process designed to prayerfully discern how, as the Anglican Church Community in Bramcote, we might build firm foundations in order to be ‘Fit for Purpose’ in every area of our common life, both now, and well into the future, thus fulfilling both the Great Commission and the Great Commandment. The chief outcomes identified by that process are that we should focus upon the following key areas: (1) Work with children, young people and their families, (2) Evangelistic outreach, (3) Practical pastoral care, (4) Personal discipleship, and (5) Developing our material resources that they might provide a versatile base from which to work. The following documents form an archive of the later stages of the Project 2012 process, particularly as it relates to key area (5) the development of our material resources, and should be read in conjunction with the various hand-outs, booklets and DVD’s flowing from the assorted Parish Away-Days, APCM’s, Bishop Paul’s 150th celebration charge, Parish Consultation Days, and particularly the ‘Parish Weekend at Home (October 2010) Interim Report’. Copies of these resources are available in the vestibule or upon request. Updates on the other key areas will follow in due course. The major refurbishment works to the interior of our church building are progressing very well without any unforeseen difficulties so far. We would ask you to pray for the safety of all the contractors as they play their part in each phase of the work and we give thanks for the efforts and dedication of those overseeing the work. Please continue to pray for the life of our church during this time of change – that we will all happily adapt and care for each other in our changing environment. Although the initial target for funding of the project has been achieved, donations continue to be very welcome to support the best possible outcome in equipping our buildings for the future. The Chancellor has now issued a faculty to allow redevelopment work to commence. 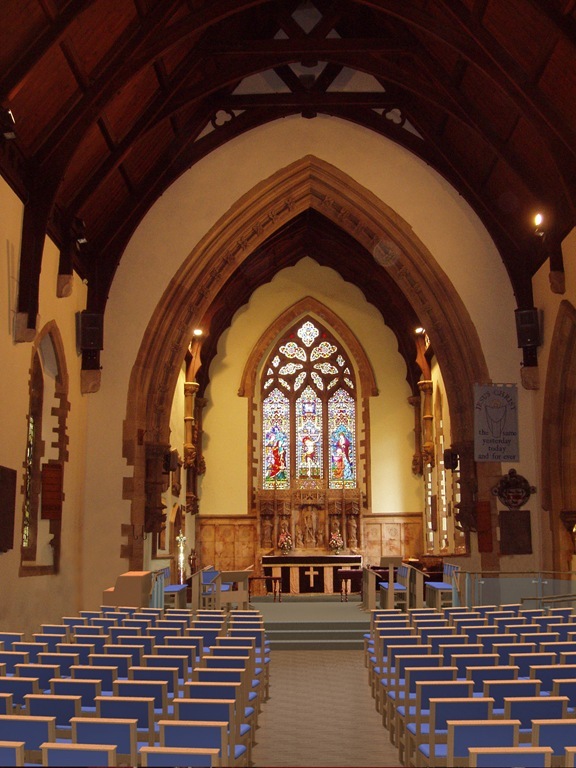 Hence, with immediate effect, the main church building has been closed in order that such refurbishment works may commence. All services and events will now take place in the Church Centre until further notice. It is currently expected that these works will be completed prior to Easter 2013. Please be aware that the church is now an official building site with NO unauthorised public access for any reason. 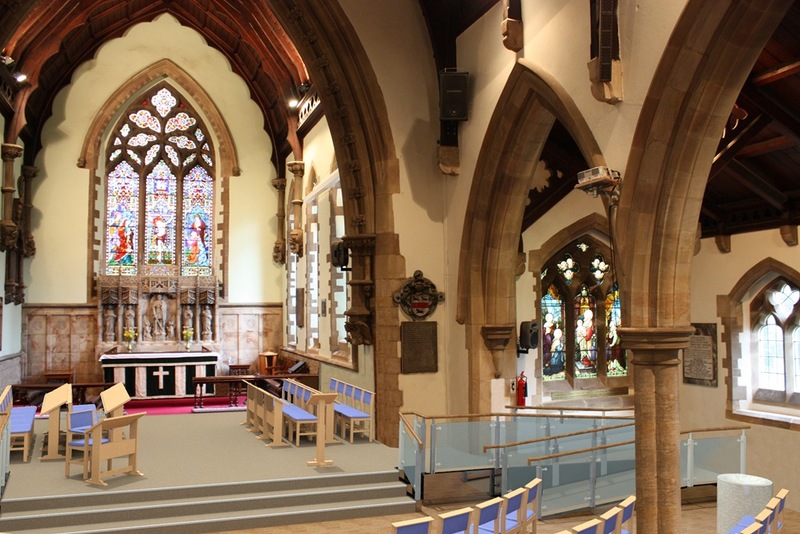 Although the initial target for funding has been achieved, donations continue to be very welcome to support the best possible outcome in equipping our buildings and to fund additional disabled access to the Church Centre. Please pray for the life of our Church as we enter a time of great but exciting change. We are currently awaiting faculty and planning approvals which are expected shortly. Initially there were objections received from the Victorian Society and English Heritage, but following correspondence with those organisations their objections are no longer being pursued. The expectation is that work within the Church will commence in mid-January and finish in time for our Easter services. This means that the main Church building will be closed after Christmas. Although the initial target for funding has been achieved, donations continue to be very welcome to support the best possible outcome in equipping our buildings. It is with great joy that we can report that the initial target for this project has now been achieved. We give thanks to God for His generosity through the gifts of so many. The application for a faculty to allow the work to be done has been submitted. We would like to make people aware that any excess received above the initial target will provide some protection against any unexpected costs, always a risk in a project costing £163,000. It may also then become possible to reinstate some equally important items which had been deferred to a later stage. For these reasons, contributions will continue to be very welcome. Every commitment or contribution is vital in ensuring Saint Michael’s is equipped for the future. Please continue to pray for the future of our Church. We continue to give thanks for the tremendous response to the funding needs of this project. Commitments received now mean that we are only £2,000 short of the anticipated costs, as presented. Every commitment or contribution is vital in ensuring that Saint Michael’s is equipped for the future. If you have not already done so please help to ensure that we achieve the initial target. We would like to make people aware that should we exceed the target there will then be some protection against any unexpected costs and it may also become possible to re-instate some equally important items which had been deferred to a later stage. Please continue in thankful prayer. Thank you for the tremendous response to Project 2012, investing in the future to ensure that Saint Michael’s is ‘Fit for Purpose’. £51,000 has already been pledged with a further £15,000 needed. Please prayerfully consider how you might join in supporting the ‘Transforming Mission of God’ in Bramcote. Please pick up a Project 2012 information pack if you don’t already have one, or ask any PCC member for more details. Our Architect is currently conducting the tendering process for the project. It is expected that the outcome of that process, to be confirmed at a meeting of the PCC, will be available in time for a presentation to everyone on Sunday 23rd September. The presentation will include a detailed explanation of the plans, costs, and reasoning behind the project. On SUNDAY, SEPTEMBER 23rd at 10:30am there will be a special presentation service. It will be the only service on that day, and will be followed by a Parish Buffet Lunch. Please do your utmost to be present on that morning to hear at first hand the outcome of many months of prayer and work by your PCC, and others, and share in the vision for the future of Saint Michael’s. Please continue to keep the future mission and ministry of our church uppermost in your prayers. On Thursday 2nd August the PCC met again to review the total budget for the project, following all the work done by the various groups. That revised budget has been accepted as a basis for the tendering process which our Architect will now conduct. If the outcome of that process is acceptable the PCC will finally decide on the affordability of the project and the plans will be displayed to everyone. That should all happen in September. Present indications are that the total cost of the project will exceed the current funds available (in part due to remedial work on the building) but the difference if felt to be of manageable proportions. Additional funding possibilities are being considered, with donations in respect of chairs being one possibility. At its meeting on Monday, July 2nd the PCC reviewed progress on the Project with the Architect. The next stage is for the groups working on each aspect of the project to provide estimates for the preferred plans which will again be reviewed at an additional PCC meeting in early August. Those plans will then go out to tender. When the outcome of that process is available, the PCC will finally decide what is affordable. 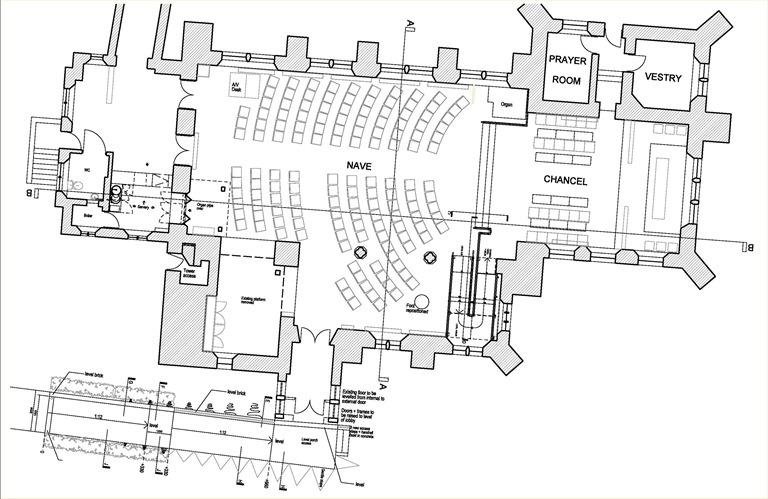 Those plans will then be displayed to everyone (likely to be early to mid September) before applying for the necessary faculty from the Diocese (ie, church planning permission). Please continue to pray for all the additional work being done and that the outcome will truly further the mission of Saint Michael’s. The PCC are continuing to work on this project and small groups are working on particular aspects and possibilities. There is still a lot of work to be done before arriving at a preferred overall proposal. When that point is reached the proposed plan will be published and there will be an opportunity to make responses. Following on from the earlier consultation days the PCC have, with much prayerful consideration, been working to develop our plans. Small groups have been working on particular aspects and gradually building towards our final overall scheme. 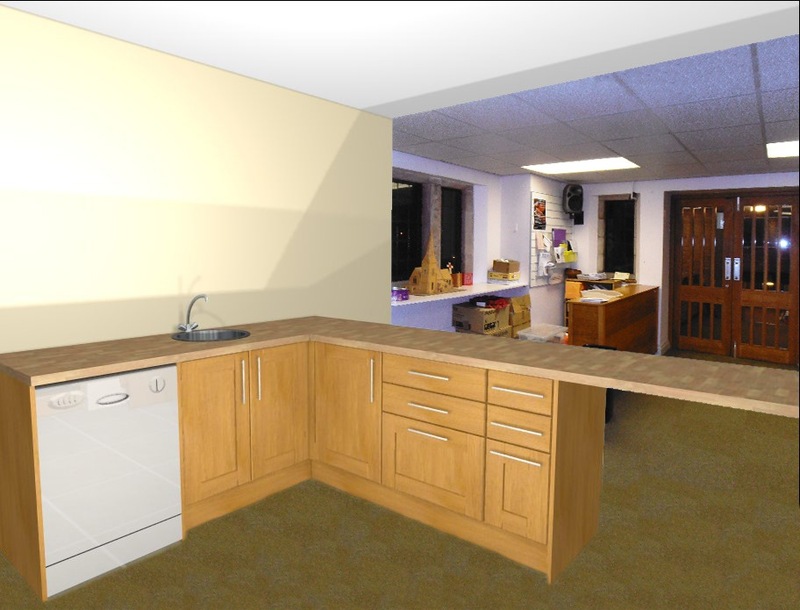 As plans develop they will be available for viewing and members of the PCC will be interested to hear your comments.